Harsil is an unspoiled and hidden jewel of Uttarakhand state offering ample scope for people seeking peace and serenity in the lap of Himalayas. 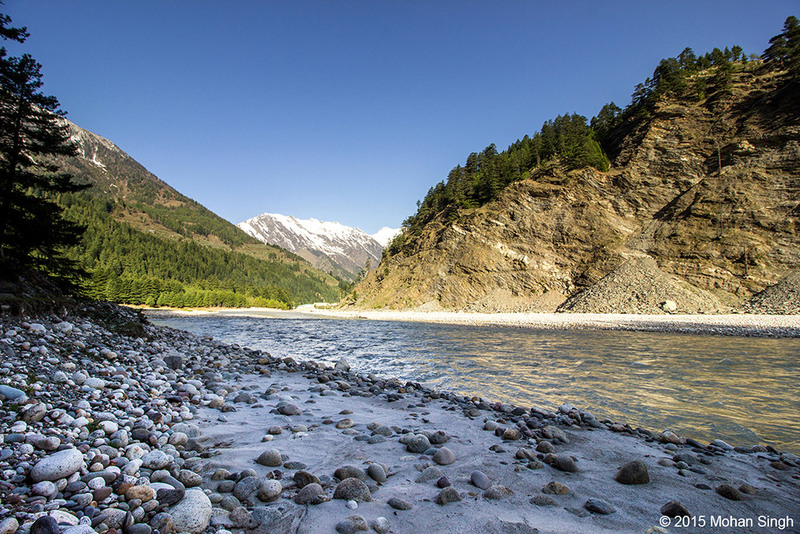 It is situated on the banks of Bhagirathi River at an elevation of 2620 mts above sea level. This quaint hamlet has become popular in recent years among travel enthusiasts and nature lovers. There are several adventurous trekking routes that you can do in the vicinity of Harsil. A holiday at Harsil is a rejuvenating experience where you can do meditation and yoga. Harsil is located in a picturesque valley inhabited mainly by the Bhotia tribes. The temperature of Harsil remains pleasant during summers and reaches freezing point during winters. There are numerous Deodar and Apple trees in Harsil and the region receives snowfall from December to March. 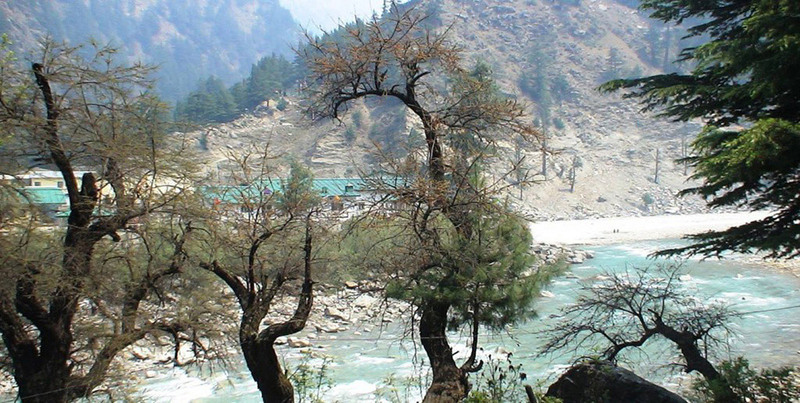 Harsil is situated on Uttarkashi - Gangotri Road at a distance of 72 kms after Uttarkashi. 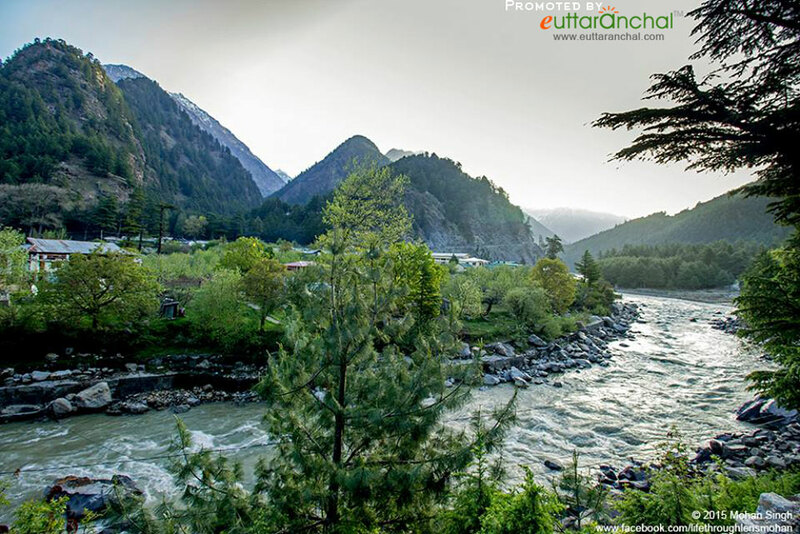 Dense Deodar forests, gushing water of Bhagirathi River, chirping birds, salubrious environment and serene environs are the highlights of this little secluded destination. 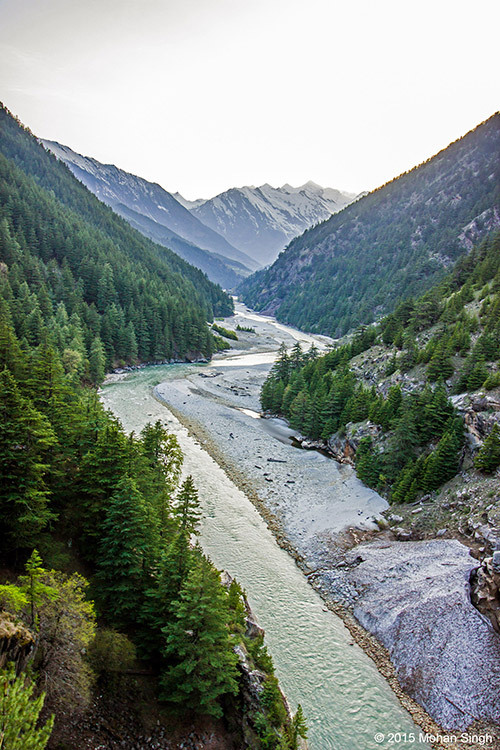 Trekking: The mesmerizing valley of Harsil filled with oak and deodar trees makes it a trekker’s paradise. Many trekking routes pass through Harsil which takes one through cascading waterfalls, verdant hills covered with pine and oak trees, gushing river streams. Pilgrimage: During the winter when the Gangotri is under snow, Goddess Ganga is brought downhill to Mukhba village which is just 1 km from Harsil. Devotees can visit the winter abode of Goddess Ganga and seek her blessings. Village Tourism: The beautiful village of Harsil encourages eco-tourism where tourists can experience these calm and serene environments along with learning about the rustic way of life, customs and beliefs of the community that lives there. Best time to visit Harsil will be the months between April and June and the months between September and November. Harsil is known for the apple orchids and one should taste the juicy apples when visiting the region. Harsil is a hushed hill station situated in Uttarakhand which has missed the eyes and ears of frequent tourists. There isn’t variety of accommodation available at Harsil options as the hill station is not as popular as Nainital or Mussoorie. Instead, only a handful of budget guesthouses with limited facilities are available at Harsil. Government has also set up GMVN guesthouses at Harsil. Being a hushed hamlet, there are not much options to eat at Harsil. Travelers can find roadside food stalls and local restaurants serving North Indian cuisine and popular Chinese items like noodles, momos. Apart from that these food joints may serve authentic Garhwali cuisines like Gahat Dal, Sisunak Saag, Kappa, and Chainsoo to name a few. According to the Hindu mythology, Jalandhar, the king of demons had terrorized the gods with his power and whenever the devas tried to defeat him his power would increase as his devoted wife Vrinda would pray to Lord Vishnu for her husband's victory. The gods then went to Lord Vishnu for seeking help and requested him to vow Vrinda, as her husband could only be defeated if his beloved wife would commit adultery outside her marriage. Vishnu used his charm to tempt Vrinda but her love and devotion for her husband didn't shake her morality. Having no other escape, Lord Vishnu then disguised as Jalandhar and violated Vrinda’s chastity. Jalandhar was eventually killed by Shiva, upon realizing that Jalandhar had died, Vrinda cursed Lord Vishnu that he will turn into a stone and will scatter everywhere in the territory of king Jalandhar. Hence, the place got its name Harsil. While the other folklore tells that the two rivers, Jalandhari and Bhagirathi always fought with each other to prove their metal. The fighting caused turbulence and terror in the areas nearby, the mortals then prayed to Lord Vishnu for resolving the issue. Vishnu listened to their prayers and transformed into a 'Sila' or stone. He placed himself in the midst of the confluence of Jalandhari and Bhagirathi rivers. Therefore, the place was named as Harsil which literally suggests Lord Vishnu in the form of a rock. What is Harsil famous for? Harsil is famous among tourist as Hill Station. Harsil is recommended destination for Corporates, Family and Kids, Foreigners, Groups, Solo. Harsil is popular destination for following activities/ interests - Base Camp (Trek), Cantonment Area, Char Dham Route, Emerging Destinations, Hill Station, Orchards, Romantic, Yoga and Meditation. Travelling to Harsil in 2019? Contact us for planning your Harsil tour with best travel packages of as per your requirements!